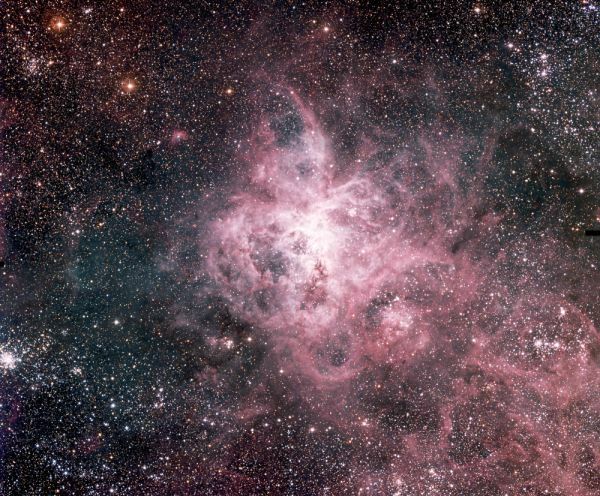 Explanation: The Tarantula Nebula is more than 1,000 light-years across - a giant emission nebula within our neighbouring galaxy the Large Magellanic Cloud. Inside this cosmic arachnid lies a central young cluster of massive stars, catalogued as R136, whose intense radiation and strong winds have helped energize the nebular glow and shape the spidery filaments. In this impressive colour mosaic of images from the Wide-Field Imager camera on ESO's 2.2 metre telescope at La Silla Observatory, other young star clusters can be seen still within the nebula's grasp. 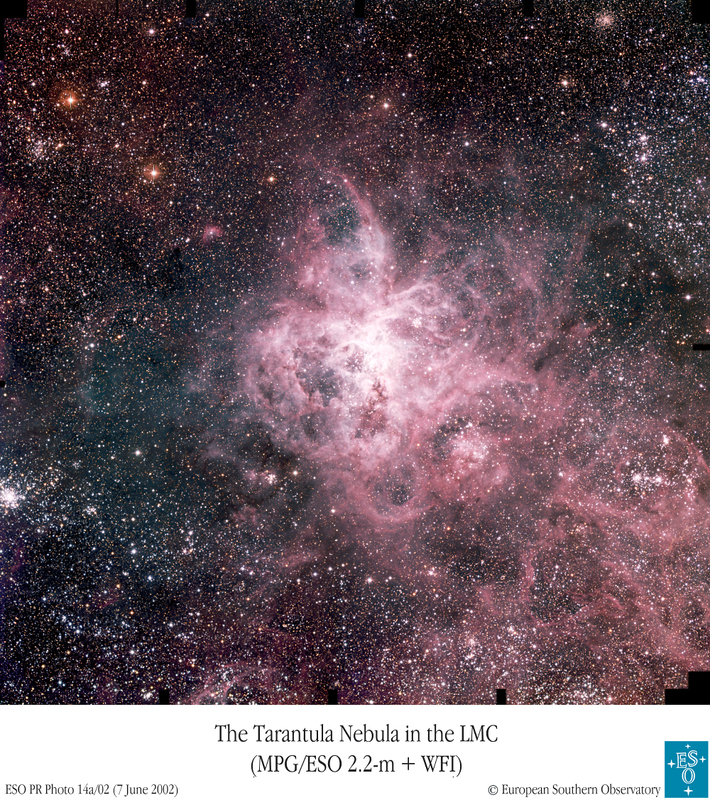 Also notable among the denizens of the Tarantula zone are several dark clouds invading the nebula's outer limits as well as the dense cluster of stars NGC 2100 at the extreme left edge of the picture. The small but expanding remnant of supernova 1987a, the closest supernova in modern history, lies just off the lower right corner of the field. The rich mosaic's field of view covers an area on the sky about the size of the full moon in the southern constellation Dorado.